Elegant. Chic. Sporty. Smooth. These are all words I think of when I reminisce about the Lexus NX Hybrid I had the pleasure of test driving recently. Now that fall is here we all want to squeeze in our favorite fall activities. I know my personal favorite this time of year is taking in all the fall colors. Leaf peeping is a fun activity because it involves minimal work for a lot of color and happiness! Cincinnati was a little slow to get the colorful leaves this season but now that they’ve arrived they’re magical! 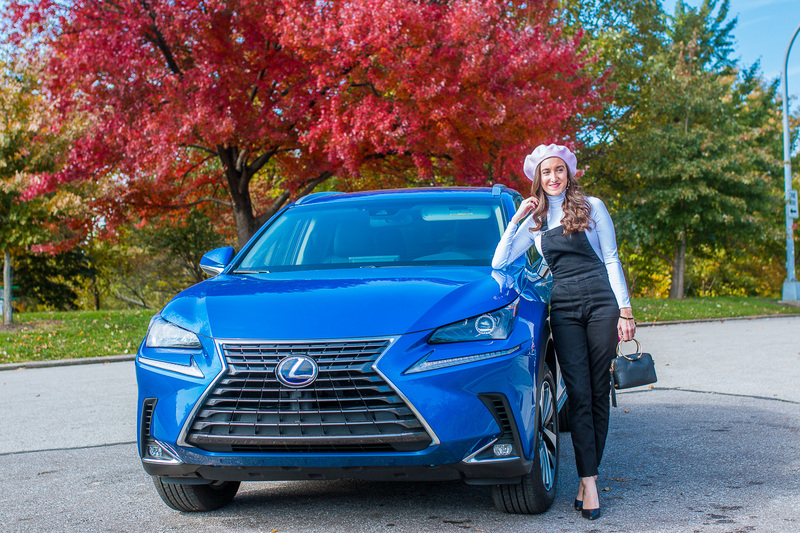 I drove the Lexus NX all over town in search of the prettiest fall landscapes. Of course, this task was even more fun getting to drive this beautiful vehicle around. The drive was incredibly smooth and sporty and felt very luxurious. The inside of the car is just as impressive as the outside with the array of features it offers. The multimedia display is sleek and makes it easy to access all the different multimedia features, including maps and different audio options. Even the graphics on the display feel more elevated than other screens you often see. If you want an easier way to access your display simply utilize the remote touchpad, which is a game changer! It’s conveniently located in the lower middle console and is a great spot to simply reach out your hand and find what you need with a few touches. The mirrors also fold in the second you press the lock button on your remote, which I love. As someone who has had many a side mirror problem due to people running into them, this is a feature I totally appreciate. The mirrors also automatically fold out when you unlock the car! 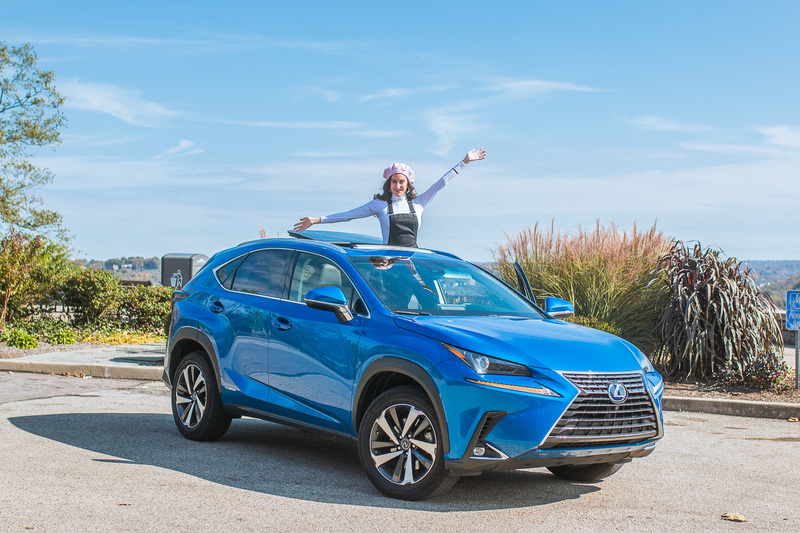 We had some unseasonably warm days during the weeklong Lexus NX loan, so I got to put a fun feature to the test. The front seats offer ventilation for helping you cool down on a hot day. The seats are perforated and feature fans in the seat cushions to cool you down instantly. I can attest that this feature was something I never knew I needed in a car. 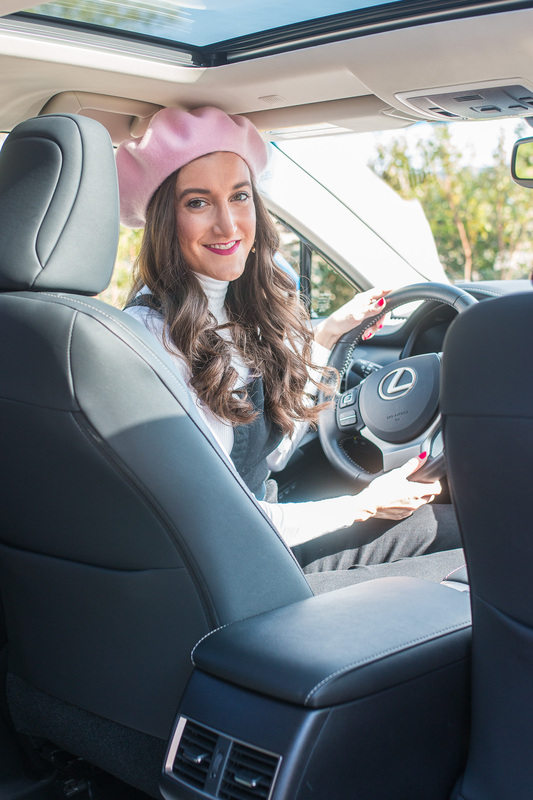 I’ve always loved and appreciated heated seats, which the Lexus NX has, but seats with fans is taking luxury to a whole new level! I could go on and on but these are some of my favorite features I fell in love with during my weeklong driving experience. While I was searching for the perfect fall colors around town I noticed myself using a lot of these features. Everything was very user-friendly and looked high end without being intimidating or confusing. Eden Park ended up having some of the most gorgeous fall foliage in town. I always love the areas around Mirror Lake and Krohn Conservatory and they’re even more stunning in the fall. 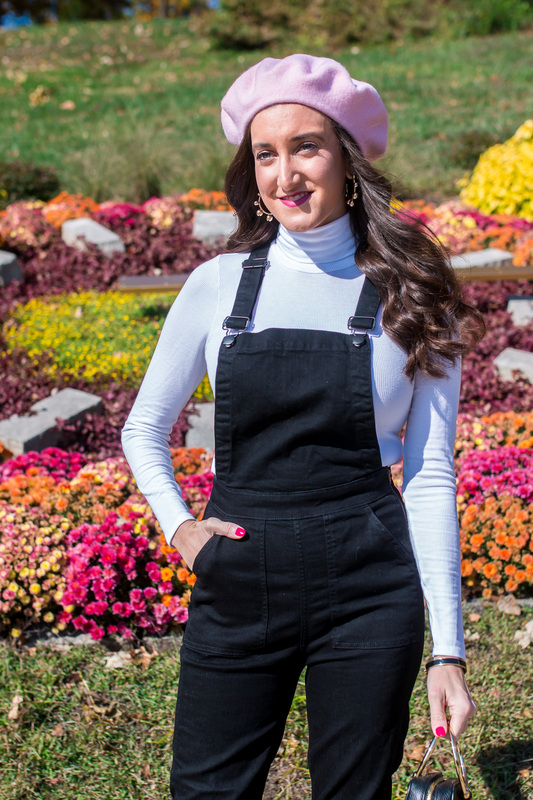 The famous flower clock across from the conservatory was all jazzed up for the new season and served as the perfect backdrop for some fall inspiration! 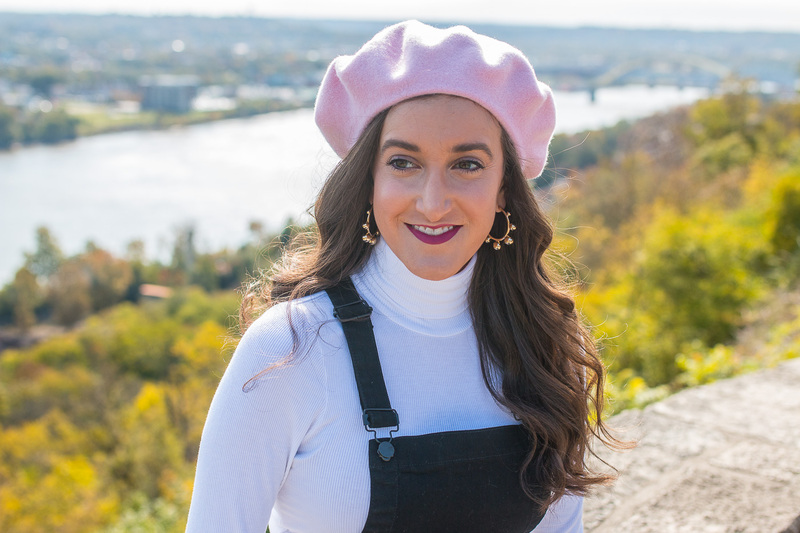 After spending some time taking in the fall scenes around Eden Park, we headed to one of the overlooks to observe the views of the Ohio River and Kentucky. From here, we got to see even more fall foliage from a picturesque setting. There’s no better feeling than taking in the sights around your city as the seasons change. 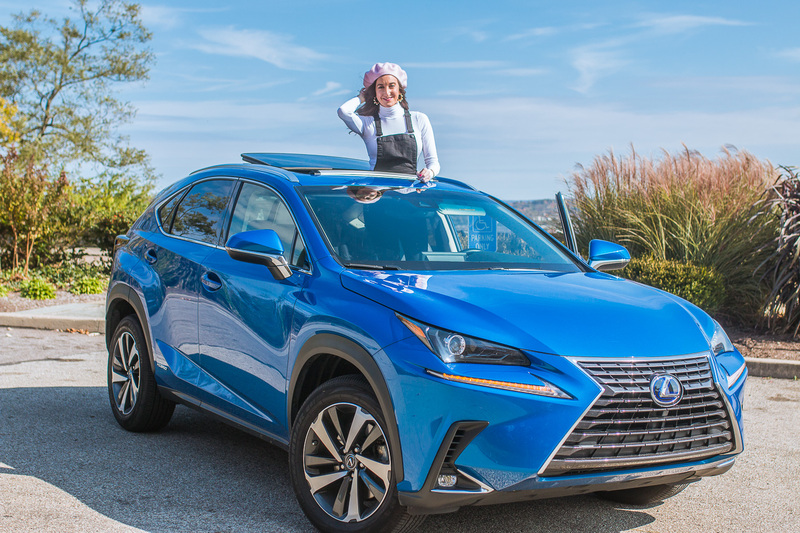 Getting to do it in a luxury vehicle like the Lexus NX made a fun activity even more enjoyable! Nothing beats driving in style! Thank you to Lexus for partnering on this post.